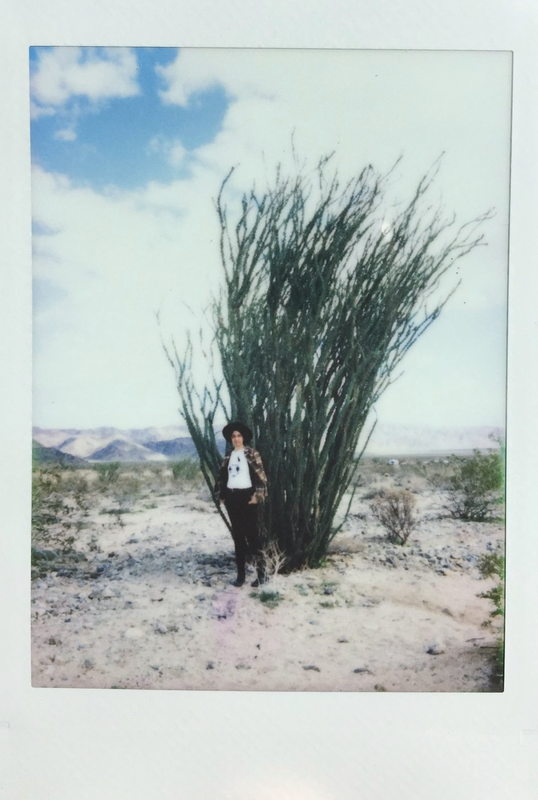 The artist in Joshua Tree, California. Olivia A. Carter is an artist hailing from Fresno, California, in the very center of the San Joaquin Valley. Themes in her work include the discussion of what makes a home, thought and memory through storytelling, light and dark represented as textures and patterns, and reminding herself to hope She currently resides in Oakland but remains proud of her Central Valley roots. A skilled craftswoman, she is available for special projects including: custom leatherwork and repair, bookbinding, album artwork and layout, and event decor. Feel free to reach out using the button below.